Johannesburg - South African private hospital provider Life Healthcare Group [JSE: LHC] increased its revenue for the period ending March 31 2017 by 22.6% from R7.680bn to R9.638bn it announced on Friday. At the same time, normalised earnings before interest, tax, depreciation and amortisation (Ebitda) increased by 15.2% from R2.099bn to R2.418bn. Headline earnings per share decreased by 71.3% to 26.7 cents. The group said in a statement that its results have been impacted by once-off items relating to the acquisition of Alliance Medical during the period, which accounts for new revenue of R1.481bn and normalised Ebitda of R410m. It involved transactions costs of R254m and acquisition funding costs of R382m, as well as a further impairment of the investment in Poland of R142m as a result of additional tariff reductions. “Life Healthcare’s strategic objective is to establish a sizeable international business and to accelerate the transition from a South African-focused acute care group to an international, diversified healthcare provider,” said group CEO André Meyer. Life Healthcare’s international expansion strategy has been focused on selected attractive markets that display supportive characteristics for the longer-term growth of the private healthcare market. Alliance Medical is a Western European provider of complex molecular and diagnostic imaging services. It has strong market positions in the UK, Italy and Ireland and provides a platform for expansion more broadly with existing participation in eight European markets. The company also enjoys embedded partnerships with national healthcare systems, including a long-term relationship with the National Health Service in England. “The acquisition of Alliance Medical exposes Life Healthcare to the faster growing diagnostics market with a company with excellent growth prospects. The acquisition of Alliance Medical accelerates Life’s geographic diversification increasing both revenue and Ebitda outside of southern Africa," said Meyer. "It further continues Life Healthcare’s expansion of its complementary services business adding diagnostics to mental health; acute rehabilitation; renal dialysis and oncology, firmly positioning Life Healthcare in a strategically important high-growth business." In addition to investing in a growing developed market, the acquisition provides Life Healthcare with an opportunity to diversify into attractive new geographies with a strong basket of currencies. Revenue from the southern African operations has increased by 4.7% and has been negatively impacted by the decline in activity with paid patient days (PPDs) declining by 1% and the loss of the Gauteng Mental Health contract in the Healthcare Services division in July 2016. Ebitda margins for the period declined to 26.0% from 27.7% in 2016, due to the impact of the lower activities and the resultant lower occupancies, an increase in discounts for volumes and cost pressures. 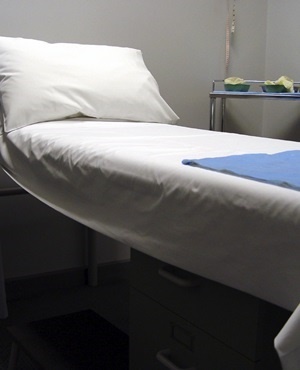 Overall, lower activity volumes have been due to limited or no growth in the private healthcare market, a greater than expected slowdown in the South African economy, the group said. “The lower PPD volumes resulted in weighted occupancy levels reducing from 69.9% during the comparable period in 2016 to 68.1%. While PPDs remain low, these activity numbers represent an improvement in the PPDs as of end February 2017 due to better trading during March 2017, as well as Easter being in April in 2017 as opposed to March in 2016,” explained Meyer. The group plans to add over 100 acute hospital brownfield beds in the next six months. Despite the lower trading in the southern Africa Hospitals division, the Complementary Services division continues to show good growth with revenue increasing by 22.7%. In addition, the complementary services business will grow through the addition of 22 mental health beds, 10 renal stations and one oncology unit. Further growth will come from the mental health beds added. “General market conditions in southern Africa are not expected to improve substantially in the foreseeable future and we expect continued pressure on acute hospital volumes. However, the group is well positioned to continue driving its complementary services business through expansion in southern Africa and through Alliance Medical," concluded Meyer.